Located on the southeastern coast of the peninsula, Sudak is one of the coziest and most picturesque cities of the Crimea. 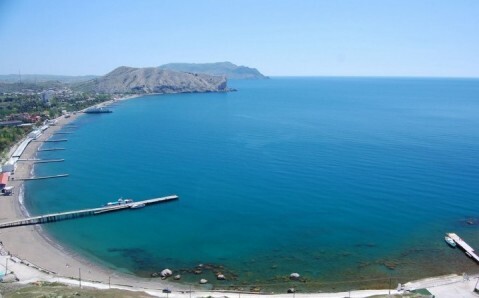 It lies on the shore of the beautiful Sudak Bay, surrounded on three sides by wondrous mountains. Sudak is not only a popular Black Sea resort, rich in interesting natural and historic landmarks, but the city is also a renowned centre of Crimean wine making. 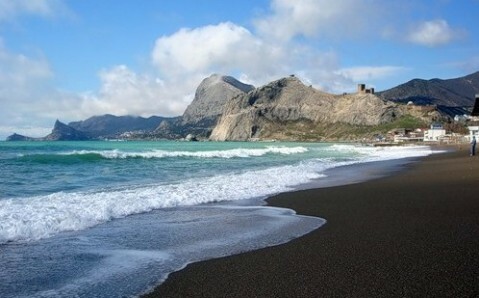 Because of the amazing combination of pure mountain air, refreshing seawater and the sun, Sudak is an excellent place for rest and bodily rejuvenation. On top of that, it is recognized as one of the most eco-friendly cities of the region. And its beaches, sprinkled with fine pebble and quartz sand, are considered the most comfortable on the peninsula. The city was named by Ottomans in Middle Ages: it is translated as 'pure' or 'holy.’ Sudak itself, according to historians, was founded much earlier, in the 3rd century, making it one of the most ancient cities on the peninsula. It gained prominence in the 13th century, when it became an important trade centre on the Silk Road. 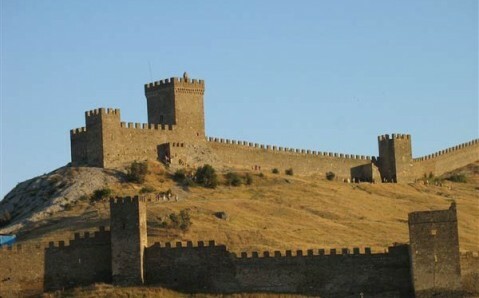 Soon, it was conquered by the Genoese, who built a fortress here; the fortress served as the residence of Genoese consul. 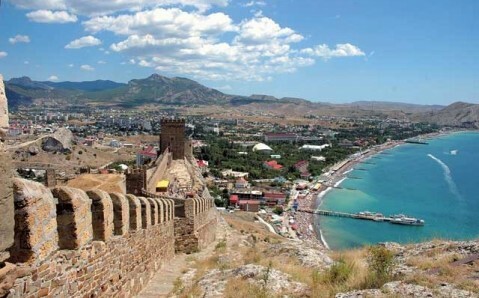 It is well preserved, and it is now the most glimmering historic and architectural gem in Sudak. In the 15th century the city, was captured by the Ottomans and destroyed. Its revival started only three centuries later, when Sudak became a preferred vacation spot of the Russian intelligentsia. However, only in the late 20th century did it begin to attract large numbers of tourists with its first-rate resorts. Since then, Sudak’s popularity has exploded. During the day, the visitors enjoy the sun-baked beaches; in the evening, they take leisurely strolls or spend their time in the boardwalk’s cafes and restaurants, which cater to all tastes. Sudak’s biggest draw is the majestic Genoese Fortress, considered to be one of the grandest fortifications of medieval Crimea. The fortress occupies almost 30 hectares of land, which is actually an ancient coral reef. Fourteen towers fortify it - each possesses the name of the consul who financed the tower. The Consul’s keep and the old mosque are perhaps the most interesting parts of the fortress. 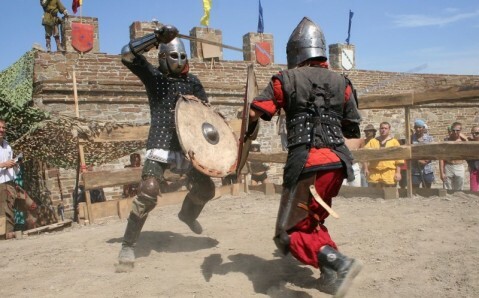 During the summer, the fort is used as the backdrop for the international "Knight Castle Festival." Sudak’s outskirts are also full of interesting historical and natural monuments. 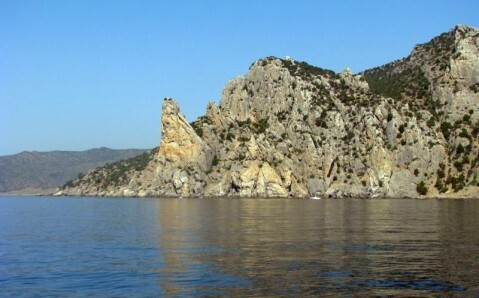 The best way to admire them is to take a boat tour along the bays of Sudak valley. The settlement Novyi Svit is worth visiting during your journey; it is an extremely beautiful place with mysterious caves and grottos, juniperic groves and a royal beach. You cannot help but fall in love with Sudak. Its inimitable beauties, charm, and atmosphere arouse the irresistible desire to come back to this enchanting Crimean city again and again!